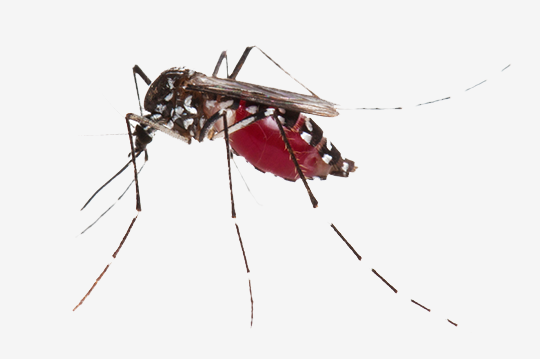 Mosquito Control Kennesaw, GA | Bug-Off Exterminators, Inc. When you need mosquito control, you can count on our professional mosquito control technicians to get the job done right. Our techs go through training, and they have years of experience to lean on as well. When you contact us for mosquito control, we will send you a tech who regularly deals with mosquito control situations. Our pest control technicians are skilled at handling pest control calls in a wide variety of commercial and residential environments. Whether you have an extensive mosquito infestation or simply need to prevent them from appearing, our mosquito control experts will keep your property free of mosquitoes. We use a mosquito spray that leaves residual protection for weeks after a single application. We also install mosquito traps that attract female mosquitoes to lay eggs and prevents the eggs from becoming adults. There are few things that will ruin an outdoor gathering more quickly than getting swarmed by mosquitoes. The pesky little bloodsuckers are annoying to say the least. If you want to keep mosquitoes from ruining your outdoor gatherings, it is best to get your property treated by a professional mosquito control service. When you turn to our company serving Kennesaw, Georgia, you will ensure that you can enjoy your outdoor spaces without worrying about mosquitoes. Are treatment includes a misting spray for an immediate extermination of adult mosquitoes, as well as, a mosquito trap installation to continue exterminating the eggs and larvae. We exterminate the mosquitoes quickly and keep them from coming back, ensuring that you are able to enjoy your yard the way it is meant to be enjoyed during the summer. When you contact us for mosquito control, our pest control pro will treat your property with a misting spray and install traps that will keep mosquitoes at bays for weeks. The tech will spray the lower limbs of shade trees, tall grass, shrubbery and other shaded areas where mosquitoes like to gather. The spray will not go on your grass and it does not harm your plants. 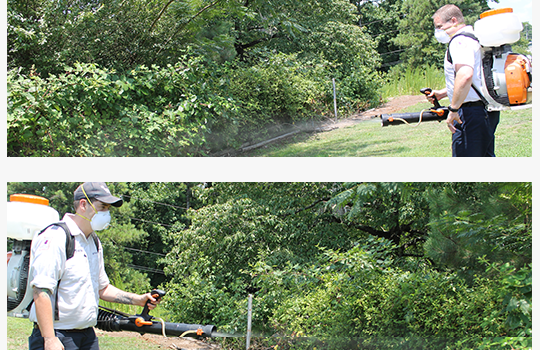 When the mosquito control technician comes to your property, he will use a leaf blower backpack sprayer to apply a better pesticide to control mosquitoes. It is best to have your property sprayed once a month to control the mosquitoes. Even though our residual mosquito spray last for several weeks, weather and the elements will break down the spray over time. When you get your property treated monthly, you never have to worry about your outdoor fun getting ruined by a pesky whine in your ear or a bite on your arm. We make sure that your property stays mosquito-free so you can enjoy summer nights with friends and family in your yard. Summer is meant to be enjoyed outside. Mosquitoes should never keep you from taking full advantage of your outdoor space. Turn to our service to keep your yard free of mosquitoes. With one monthly treatment by our tech, your yard will stay mosquito-free. Never let mosquitoes ruin your outdoor fun. Contact us when you need to prevent mosquitoes from hanging around your property.